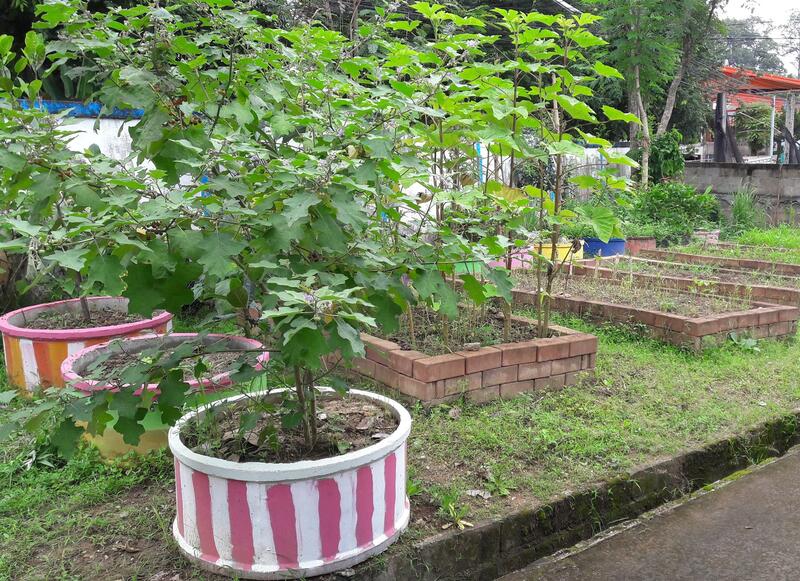 During the month of August, like July, relatively few patients stayed at the Burma Children Medical Fund B. K. Kee Patient House in Chiang Mai (food garden shown left). Part of the reason is that many of the patients are finally undergoing their surgery at the hospital and returning home. Among the long-term patients was a four-year old boy. At last, a large goiter has been surgically removed from the side of his neck and soon he and his mother will be able to return home. Another long-term patient who has been at the house on-and-off for the past year because of the need for multiple medical procedures, is a wonderful young lady of age fifteen (pictured, right, with her mother) who suffered a crushed right leg in a fire. She underwent her final treatment recently. Last Sunday we had only one patient at the house, a young man with damage to his larynx that makes it difficult to breathe and impossible to talk. At the end of the month we arranged with our helper Mit for several small but needed repairs including replacing shelves in the storage room that were water damaged when the roof failed three years ago. Repair of the that roof was the first project CMIRC undertook at the patient house. In addition to our normal activities of providing fresh fruit, treats, toiletries and English-language conversation to residents, we had a very special event during the month of August. 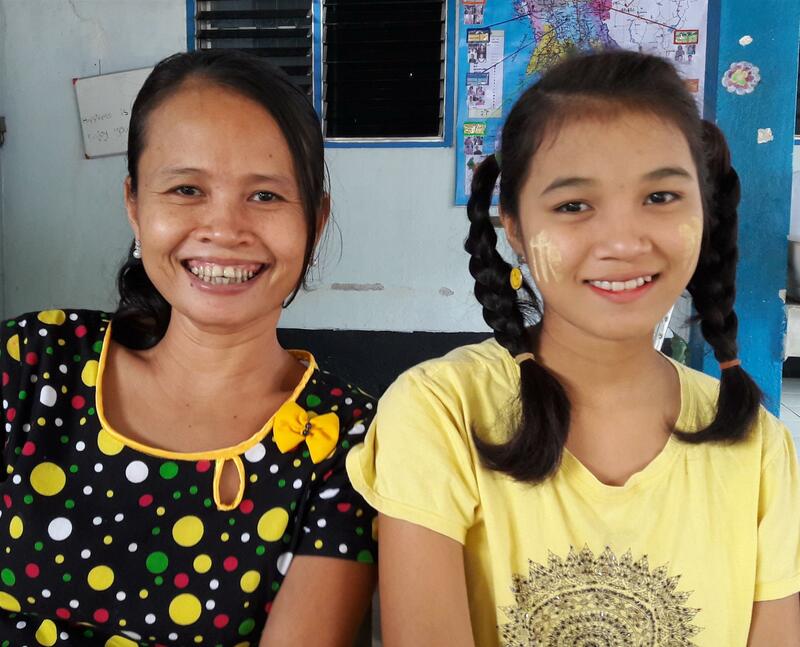 Thailand celebrates Mother's Day on August 12, the birthday of the Queen, so we turned that Sunday visit into a special day for the residents. 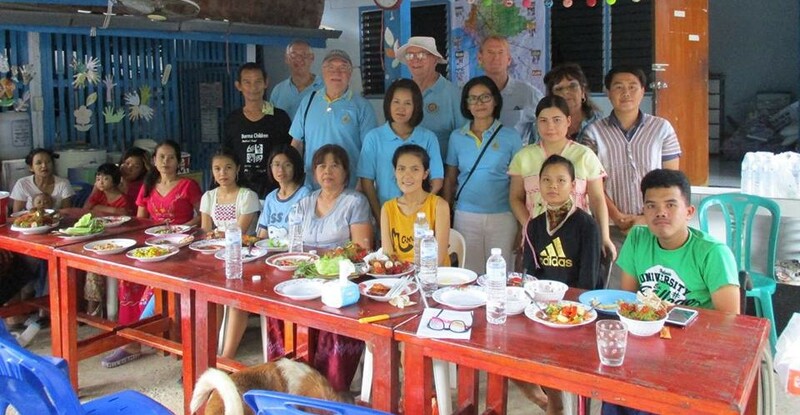 In addition to our regular team of Mike Lake, Roger Lindley and me, we were joined by Rotarians Jerry Nelson, Maliwan Nelson, Linda Pfotenhauer, John Schorr and wife Phijitra in providing a special meal of Kentucky Fried Chicken, french fries, som tum papaya salad with birthday cake for dessert.